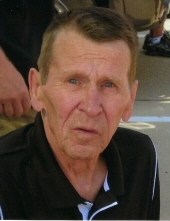 Garry Lee Waline passed away on August 15, 2018 at Israel Hospice House in Ames, IA. He was born on January 19, 1937 at Victor, IA. Garry grew up in Marengo, IA and graduated from Marengo High School in 1957. Garry married Kathy Ann (Shaull) Waline on February 15, 1959 at the Little Brown Church in Nashua, IA. He was baptized on May 29, 1960 at Trinity Lutheran Church in Cedar Rapids, IA. Garry and Kathy raised their family of one daughter and two sons in Toledo, IA while working for Iowa Electric Light and Power and Alliant Energy. Garry retired in 1995 moving to Ankeny, IA where he and Kathy lived until his wife’s death in 2006. Garry moved to Story City, IA where he lived until his passing. While Garry took great interest in nearly all forms of sports, his most memorable times were with his family, including his 5 grandchildren and 8 great grandchildren. He enjoyed spending holidays and weekends at family get togethers telling stories and playing games with the grand and great grandchildren. Garry was preceeded by his parents, Arthur and Pearl (Kanke) Waline and his wife, Kathy (Shaull) Waline. He is survived by three children, Brad and Karen Waline of Story City, Tracey Herink of Traer, and Jeffrey Waline of Omaha. He is also survived by five grandchildren, Jolynn and Travis Harger, Nikki Herink and Carli (Kyle) Heller of Traer, and Grant and Kirsten Waline of Story City. He is also survived by eight great grandchildren, Madison, Cael and Brody Stoneking, Bryar and Milly Hall and Cayleigh, Mylah and Victoria Heller, all of Traer. Funeral services will be held on Saturday, August 25, 2018 at 10:00 a.m. at Immanuel Lutheran Church in Story City, IA. The service will be preceded by a visitation beginning at 9:00 a.m. Internment will be at Marengo Cemetery in Marengo, IA at approximately 1:30 p.m. the same day. In lieu of flowers, memorials may be addressed to the Immanuel Lutheran Church in Story City. To send flowers or a remembrance gift to the family of Garry Lee Waline, please visit our Tribute Store. "Email Address" would like to share the life celebration of Garry Lee Waline. Click on the "link" to go to share a favorite memory or leave a condolence message for the family.